New research indicates he didn’t make up all those words—he just used them better. William Shakespeare, English poet and playwright. It’s a common claim of English classes and Internet listicles alike: William Shakespeare, English literature’s most canonical author, invented hundreds if not thousands of the words in our language. Without his plays and poems, we would not know how to swagger, grovel, or gossip, nor could we speak of our employers or our eyeballs—all, supposedly, Shakespearean coinages. 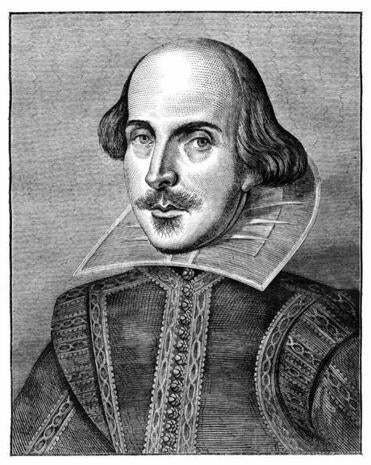 From ten-dollar-words like quarrelsome and sanctimonious to everyday terms such as hint and critic, the bard is widely credited with adding immeasurably to our linguistic variety. But a recent wave of scholarship—driven by computerized quantitative analysis and digital databases that enable searching of thousands of texts at once—is revealing that some of this may be more hype than reality. Shakespeare experts are finding that his vocabulary might not have been so different from that of other writers for the Renaissance stage. The new evidence shows that Shakespeare may have been more a product of his time than the sui generis genius of our cultural mythology—and yet, it also underscores what set him apart. Of course, as almost all authors admit, it is next to impossible to tell whether Shakespeare really “invented” these words or was simply the first to write them down. But either way, the myth of his linguistic innovation has become part and parcel of his legendary status. As digital methods have become more central to literary study, Shakespeare’s works have proved a tempting testing ground. In a 2011 article, Ward E.Y. Elliott and Robert J. Valenza of Claremont McKenna College tackled the claim of Shakespeare’s widespread wordsmithing. They concluded that new words attributed to Shakespeare are “probably overcounted by a factor of at least two”—in part because early versions of the Oxford English Dictionary relied heavily on Shakespeare for textual citations. Indeed, as more works become digitized, Shakespeare’s number of first-use citations in the OED is dropping, from 3,200 at midcentury to around 2,000 today. Holger Syme, author of a 2012 book on Shakespeare and a professor at the University of Toronto, said in an e-mail that the perception of the author’s matchless linguistic inventiveness is closely bound up with his role “as an icon of English nationalism.” But contesting the “genius” category could, ideally, help return focus to the plays themselves. With Shakespeare still a central figure on high school and college reading lists, this revelation could make a proper study of his plays appear even more daunting. Not only should you read “Othello” and “King Lear,” it seems, but you should also add in obscure works like “Friar Bacon and Friar Bungay” or “Women Beware Women.” But from another perspective, the idea that Shakespeare was not so linguistically unique could help lower the stakes for readers scared off by the idea that his vocabulary is particularly daunting. One effect of digital research in the humanities, it seems, could be to reframe the debate over what makes writers such as Shakespeare so original. By dissolving the myth that his great contribution was to invent English words out of thin air, we are left with a clearer focus on qualities of his work that are less reducible to numbers: namely, the beauty of his writing and the richness of his cultural milieu. Rachael Scarborough King is a doctoral candidate in the department of English at New York University.